Size: 23x36 inches. 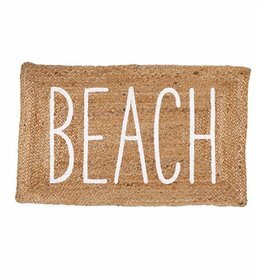 Braided juteaccent mat features printed "BEACH" sentiment. 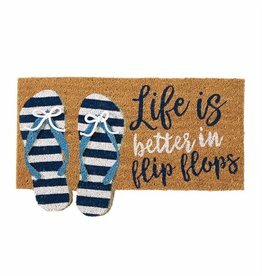 Every day All Occassion Gift Collections by Mud Pie Gifts Serveware and table top decor for everyday, birthday, seasonal and holiday entertaining. Size: 20x34 inches. MIcofiber Plush Memory Foam Machine Washable Bath Mat with non-slip backing. By Harman Inc Bathroom Home Decor and Home Bath Accents. Size: 20x32 inches. Plush Super Soft micorfiber bath mat with non-slip backing. By Harman Inc Bathroom Home Decor and Home Bath Accents. Size: 17x24 inches. Plush Super Soft micorfiber bath mat with non-slip backing. By Harman Inc Bathroom Home Decor and Home Bath Accents.